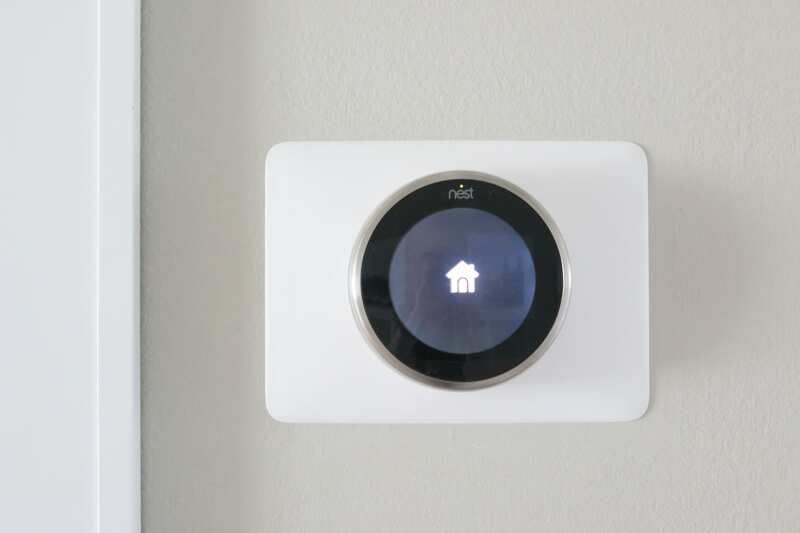 One of my goals in our new house is to try to incorporate as much smart technology into our home as I can. Matt and I are far from the techiest people around (Casey actually makes fun of our old-fashioned ways). BUT we’re trying… slowly but surely trying to bring our 1950’s ranch into the 21st century! So far we installed the Nest, got automated blinds like Casey’s, installed a keypad lock, and linked our baby monitor to our phones. I know, I know… we have a long ways to go, but every little bit counts, right?! 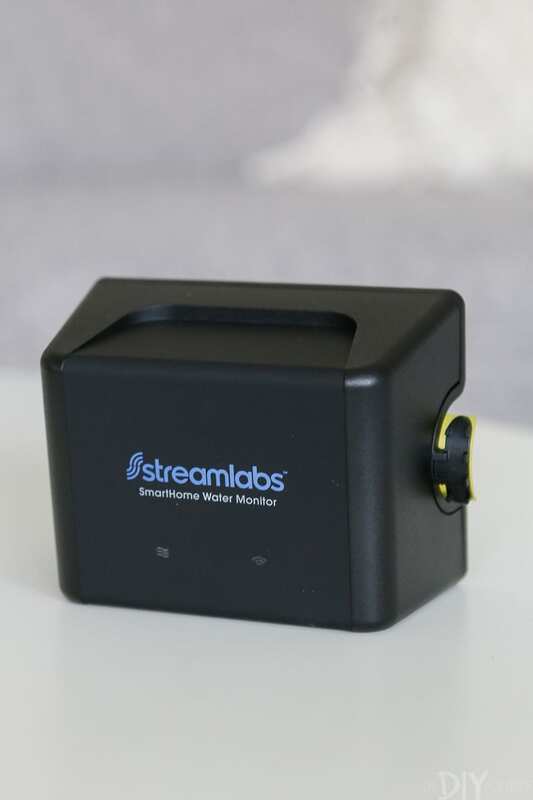 When Streamlabs reached out and invited us to install and test out their smart home water monitor, I was intrigued. 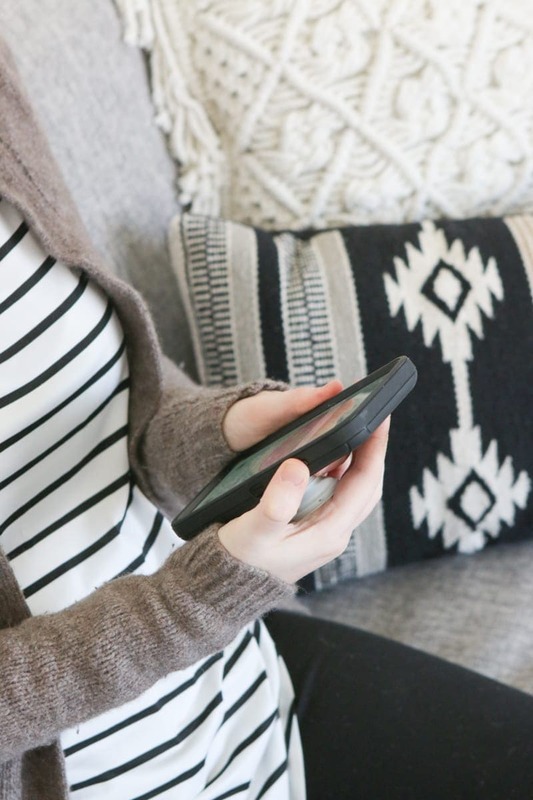 When I did a little more research about the product and the smart technology that it could offer us, I was sold and quickly agreed to give this product a try! 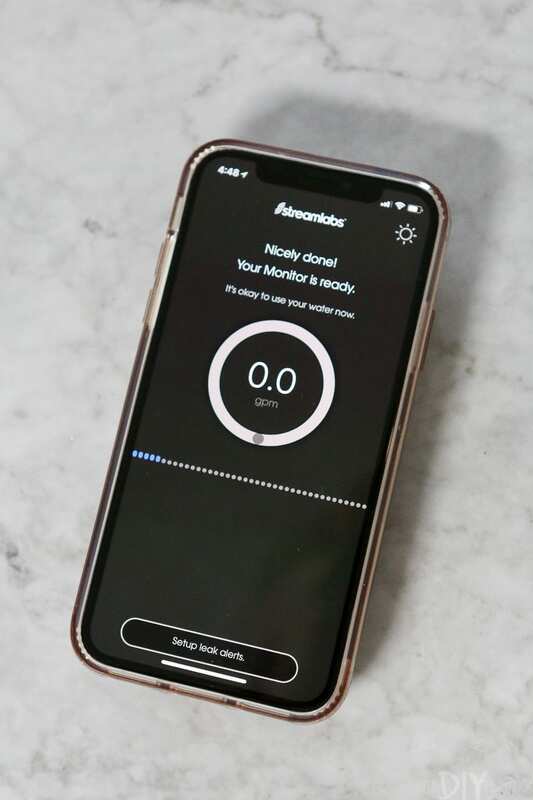 How Does This Smart Home Water Monitor Work? 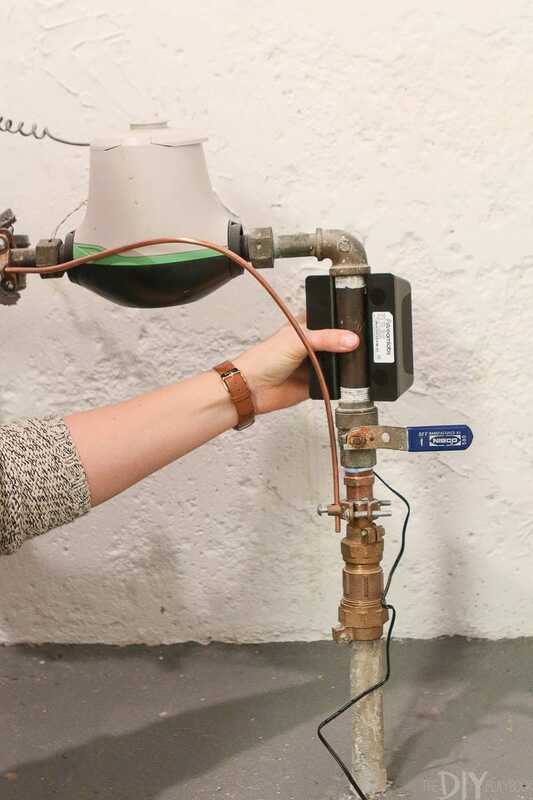 Essentially, you mount the smart home water monitor to your main water line. 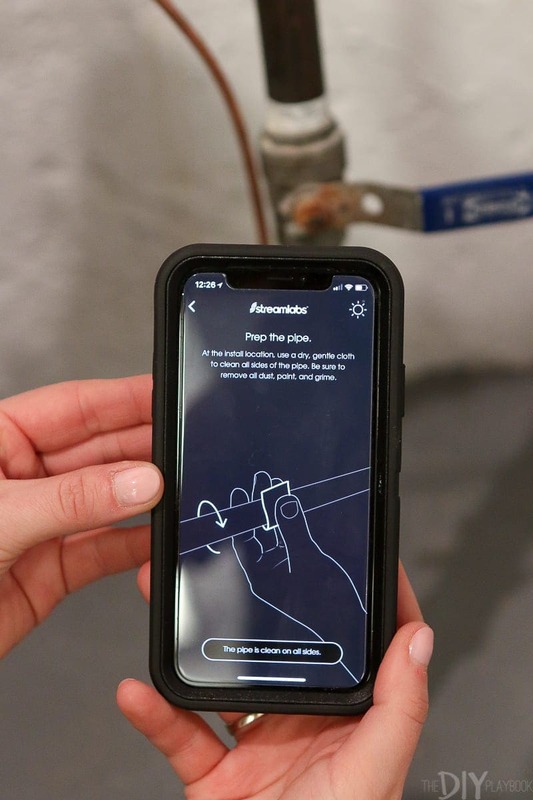 It then connects to an app on your phone and gives you updates on your home’s water usage. 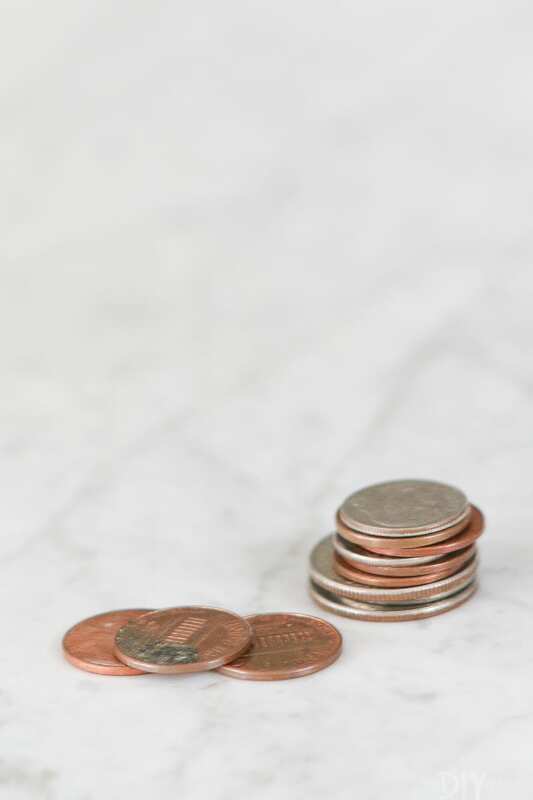 You can get a good idea of the amount of water you use in your home on a daily basis, and even figure out where you can cut back to save water, energy, and money! But what really got me excited was that this little device can alert me if we have a water leak in our house. The weather in Chicago can be all over the place (quite the understatement…) and I’m always worried about pipes bursting. This little baby would alert us if it noticed a change in water pressure in our pipes, so we could stay on top of any costly leaks! 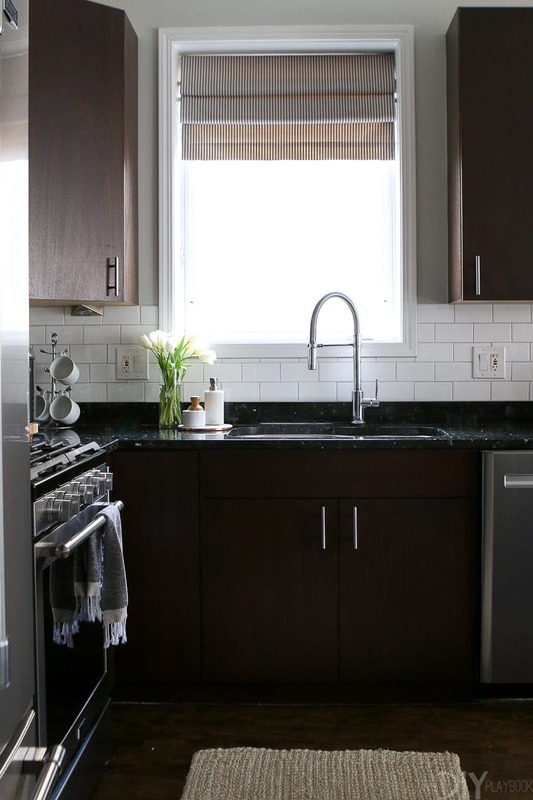 More peace of mind is always a good thing when it comes to homeownership. Remember, how I said I’m not the techiest girl around? That’s why I had Casey come over to help me install the smart home water monitor. I figured between the 2 of us we could figure it out. Luckily (for us both! ), it was incredibly easy to install and only took us about 10 minutes from start to finish. Our kind of DIY project! First, I downloaded the Streamlabs app to my phone. 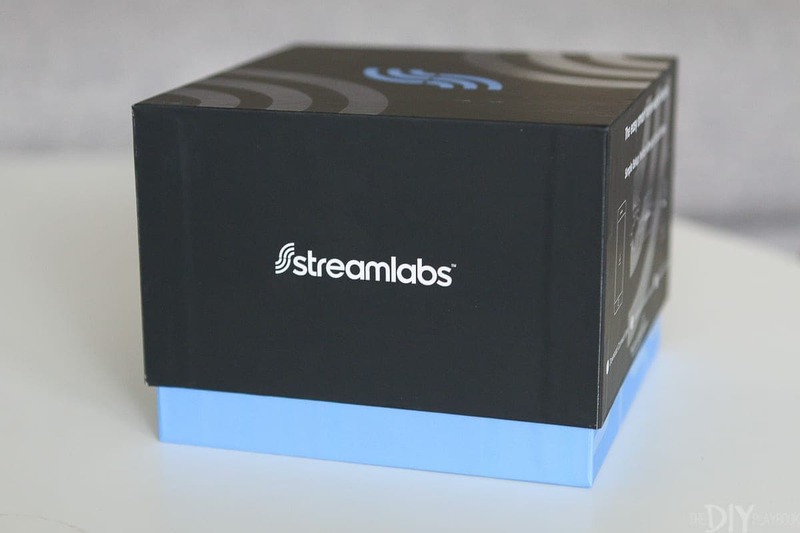 Just search “streamlabs water” and you’ll find it in the app store. The app then walked us through a few steps to get connected to my home’s wifi. Once that was set up, we headed to the basement to our main water supply. 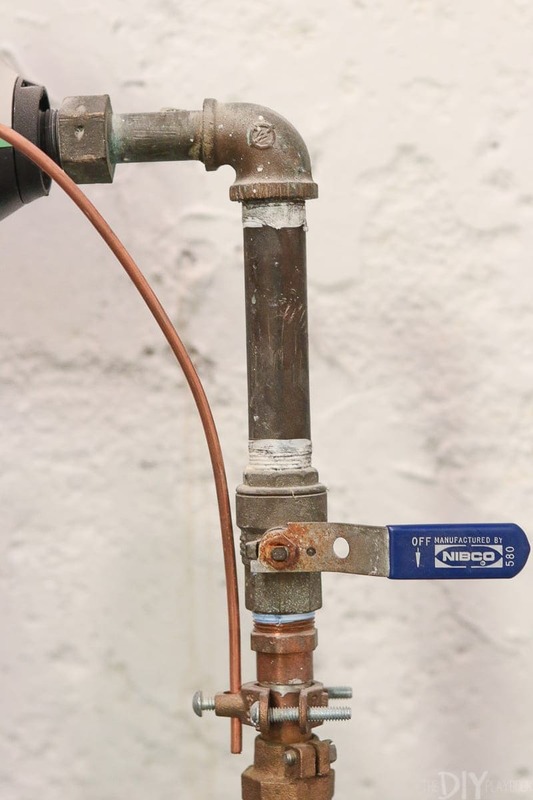 If you learn anything from this post, let it be that you should know where your main water supply is located in your house. 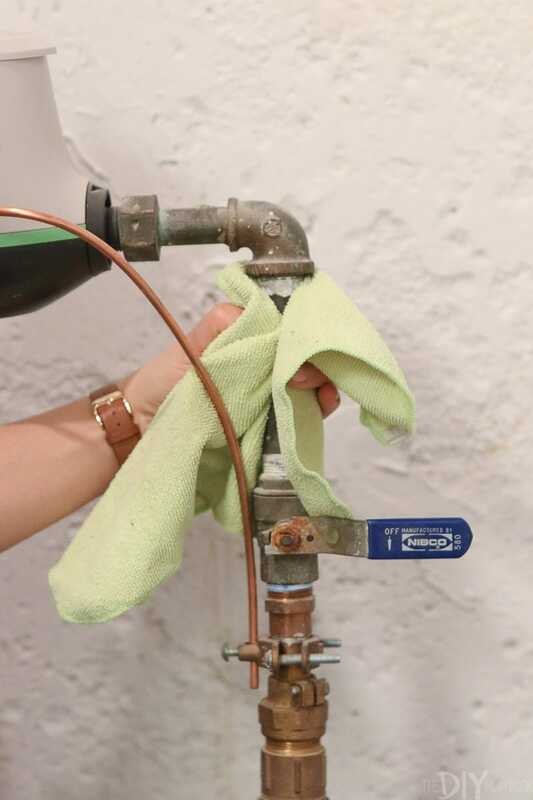 If you ever have to quickly turn your water off, you want to be able to run right to it and turn the handle. The main water entry line is typically near the water heater. 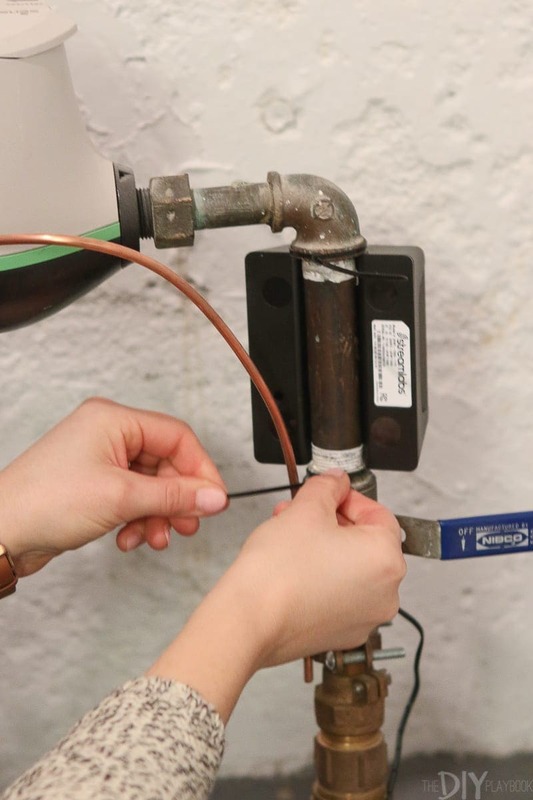 It is the line that splits into the hot water heater and the cold water for your house. The app walked us through the next steps. We located where we needed to install the monitor… Cleaned off that section of the pipe… And then positioned it on the pipe making sure it fit nice and snug! 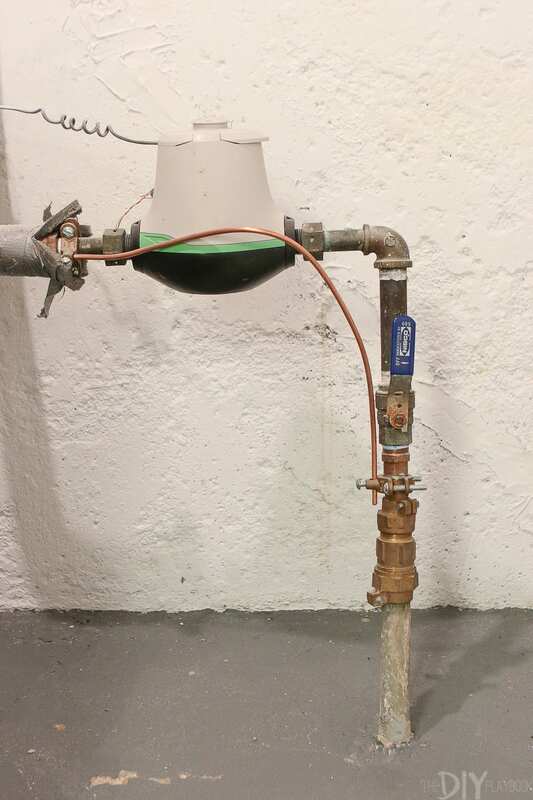 You’ll need at least 5 inches of uninterrupted pipe, so we had juuust enough space for this smart home water monitor. We then got it into place with the zip ties that came along in the box. 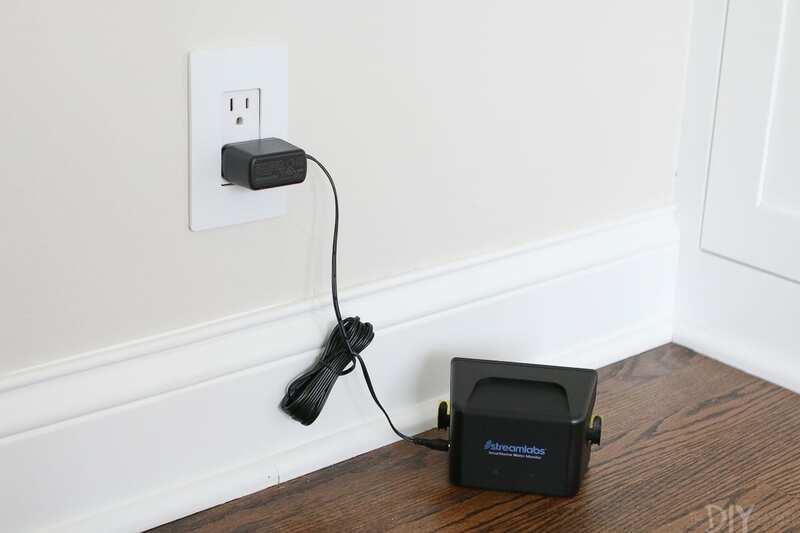 Once it was on there and secure, we plugged it in (make sure you have an outlet nearby!) and followed the last few instructions on the app. That was it…we were good to go and good to get the heck out of my storage closet. Now that the monitor is set up in our basement, I don’t have to go back down there to check on it. Instead, I can monitor our home water usage right from my app and I’ll get an alert if anything looks wonky (like a leak!). Isn’t technology cool like that?! Sometimes I feel like my thoughts about adding smart technology to our home are similar to my thoughts about exercising. I tend to build both up in my head as being intimidating, yet after they’re done, I LOVE it and I am so much more motivated to keep it up. After installing this water monitor and tracking our water supply this month (so eye opening! 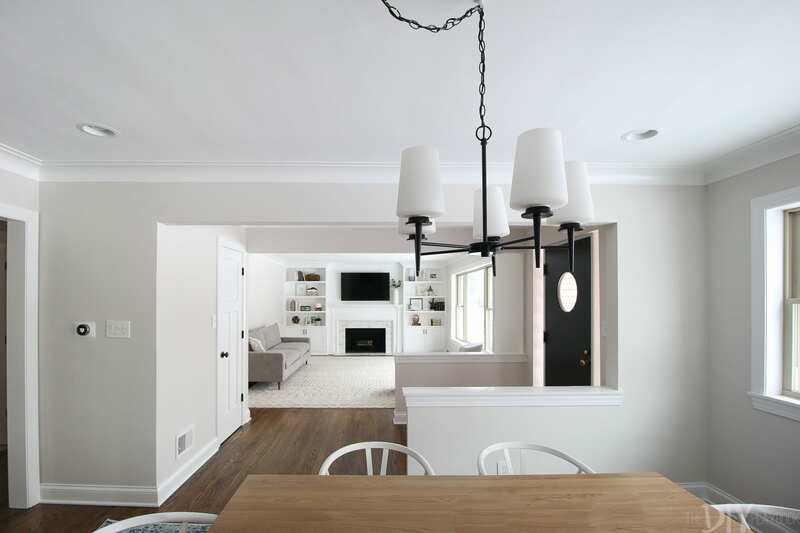 ), I’m loving the new technology and feeling motivated to keep up the smart home transformation. My long-term goals are to install some outdoor cameras, some smart lighting, possibly a smart garage door opener, and even a smart doorbell (since we don’t have any doorbell now!). 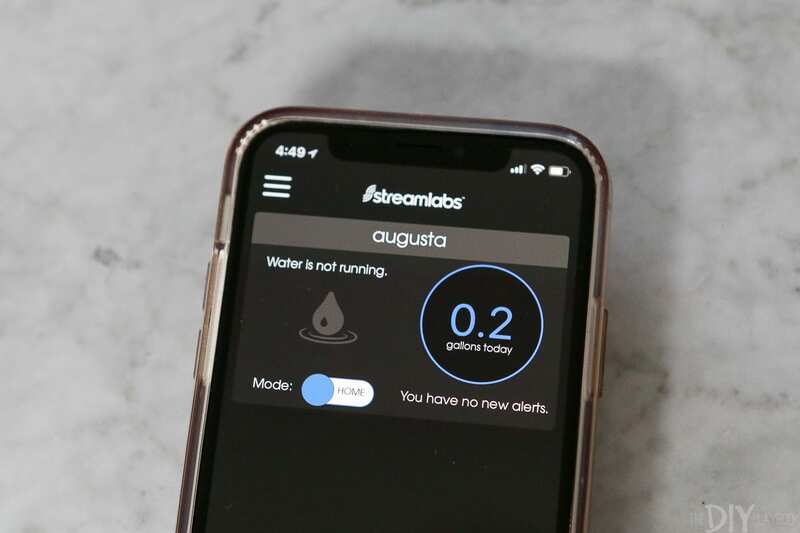 Streamlabs is giving away a free smart home water monitor to one lucky winner. To enter, use the rafflecopter widget below. Then be sure to comment on today’s post letting us know if you have a “smart house” or if you’re taking any steps to make it a bit techier! And if you’re not the lucky giveaway winner, you can still save some money! 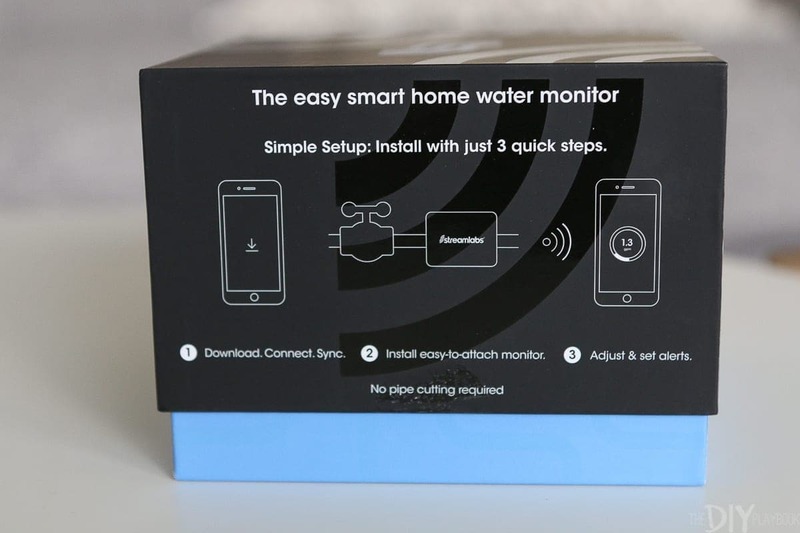 Get 20% off the purchase of your smart home water monitor using the code “DIYPLAYBOOK20”. Just head to their website right here to buy and check out their Facebook page for more information. 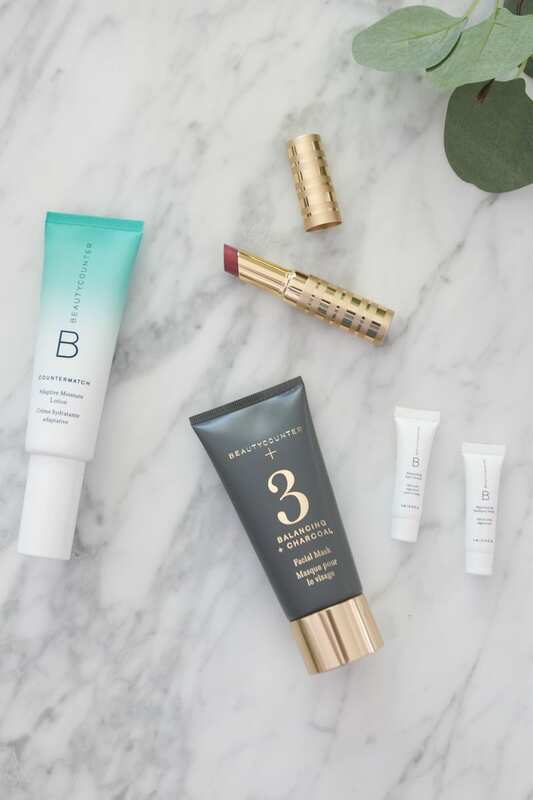 How Do You Start A Skincare Routine?